Whether you're redesigning an online auction site or building an e-commerce store from scratch, it's important to pay attention to the little details. Customers are usually lost through small inconveniences rather than big problems. Here are just seven ways to streamline your shopping experience and maximize your customer retention. Like the name suggests, one-click software is all about efficiency. While it may or may not take one click exactly, it's guaranteed to take less time than traditional checkout processes, and that's what shoppers want: a speedy end to their online binge. Speaking of binges, your site should both accommodate and encourage them. Most brands do this with the promise of free shipping if a certain dollar amount is reached, but you can also offer coupons, bulk prices and other special deals if the customer buys more than one item or makes a repeat visit to the store. 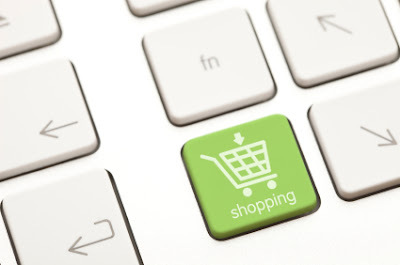 Have customers go to their shopping carts if they want to calculate shipping costs. While this might result in a higher rate of overall cart abandonment, it will also tempt shoppers to go ahead and complete their order since everything is already arranged in their cart. It's a bad idea to make your customers sign up or log in if they want to buy something. You can suggest making an account as an option for a speedier checkout, but if you try to require it, there's a non-zero chance that buyers will get frustrated and leave your site entirely. No one likes being forced. Install a progress bar at the top of your checkout page. Not only will it soothe customers who are antsy or annoyed by the minutiae of inputting their financial data, but it will also send the message that you understand the value of their time. You're on their side. Data integration can save your shoppers a lot of time during the checkout process. By allowing them to check out with pre-saved information from Google, Facebook, Twitter or PayPal, they can streamline their shopping experience by as much as a third. That's a strong incentive, especially if you advertise it upfront. In a world where hacks and server attacks make international headlines, customers are more vigilant than ever when it comes to web security. They'll need to feel completely comfortable sharing their personal and financial data with you. To ensure their peace of mind, add buttons, banners and security certificates to your checkout page. They don't need to be elaborate; they just need to be present. These are a few simple ways to improve your online store. For additional assistance, don't be afraid to use shopping cart ecommerce software. It can really help you get your business off the ground and bring in the revenue that you need for future expansion.